Commodes act as bedside toilet facilities for those who have difficulty getting to the bathroom. Many are available with armrests for comfort and a secure grip. STREATOR DRUGS offers a Deluxe 3-in-one Commode. This model features an easy to remove back bar, adjustable legs, a 10qt pail and plastic arm rests for added comfort. Non-skid rubber tips are included for extra safety. Bariatric commodes are available. 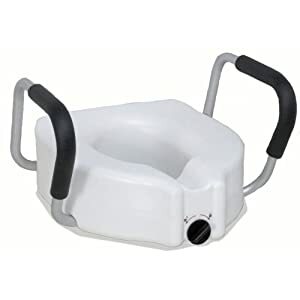 If you are not ready for a commode but could still use a little help in the bathroom, check out our selection of Patient Aids and talk to Lisa, Patti or Linda for their recommendations.